Polish Prime Minister Donald Tusk, who is widely expected to be chosen by EU leaders at their summit tomorrow (30 August) to succeed Herman Van Rompuy as Council President, will also become Euro Summit President, diplomats said. EU leaders who will meet tomorrow to decide the successors of Van Rompuy and of Catherine Ashton as EU foreign affairs chief will also decide the appointment of the Euro Summit President. This position is not widely known by the general public. The current Euro Summit President is Herman Van Rompuy, who is also Council President. His mandate ends on 30 November 2014. The legal basis of the establishment of the position of Euro Summit President is article 12 of the Treaty on Stability, Coordination and Governance in the Economic and Monetary Union, signed on 2 March 2012 by the leaders of all then euro area members and 8 other EU member states, and entered into force on 1 January 2013. There should be no problem to elect Polish Prime Minister Donald Tusk on both positions, diplomats said, even though Poland is not yet a eurozone member. Strictly speaking, the EU treaty doesn’t require the Euro Summit President to represent a eurozone country. Moreover, it is assumed that the Council President doesn’t represent his country, but the whole of the Union, and the Union’s currency is the euro, diplomats argued. Euro Summit meetings, which bring together heads of state or government of the eurozone, at least twice a year. The Eurogroup is responsible for the preparation and follow up of these meetings. Diplomats explained that the election of the next Eurogroup president, to succeed Jeroen Dijsselbloem when the Dutchman’s term expires in the middle of next year, is not expected to take place over the summit. 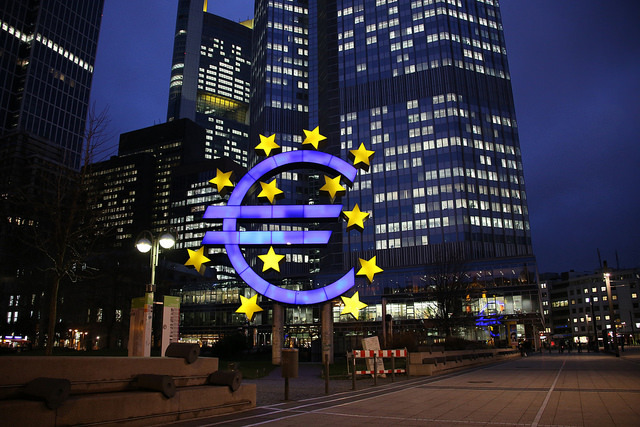 Moreover, such a decision, unlike the election of the Euro Summit President, will be taken only by the 18 heads of state and government of the eurozone countries, they explained. The summit however was a failure. EU leaders agreed to meet again at the end of August to agree on a "package" of appointments. In the meantime, each member country has been asked to put forward their candidate for the Commission. One day ahead of the summit, it appears that centre-right Polish Prime Minister Donald Tusk is in a strong position to be approved for Commission President, which gives a lot of chances to Italian Foreign Minister Federica Mogherini, a centre-left socialist to become EU foreign policy chief.